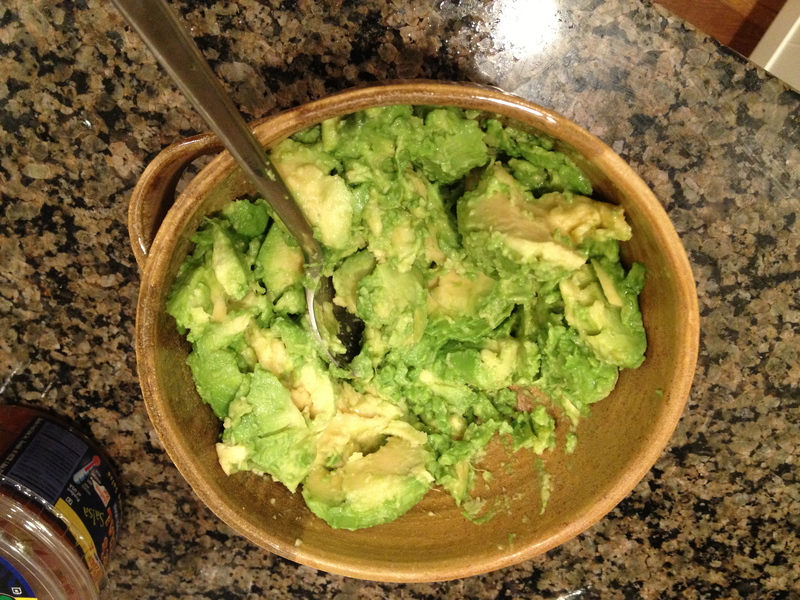 Step 1: Cut open avocados and put into a bowl. People have heard of using knifes to take out the pit in the center, and if you don’t know what you are doing, please do not try an attempt what they do on the food network. 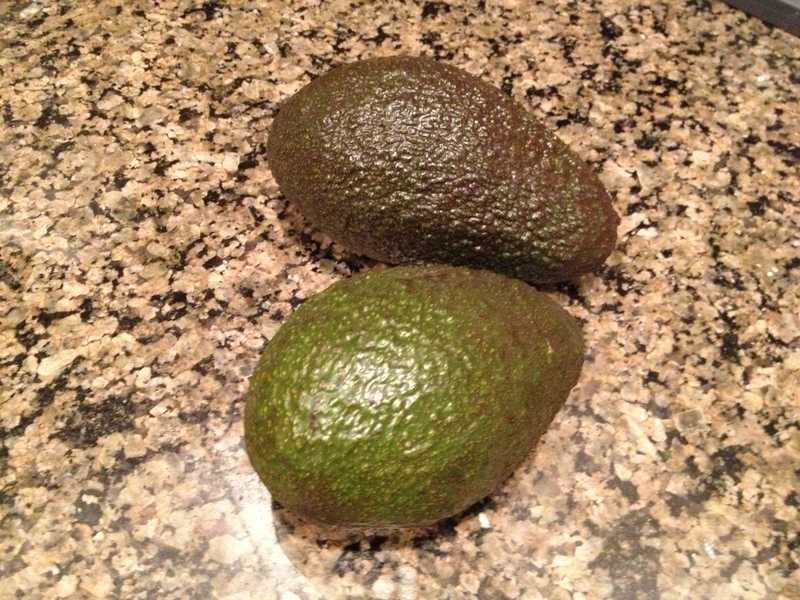 It’s a lot easier in my opinion to just push the avocado together and the seed pops right out! 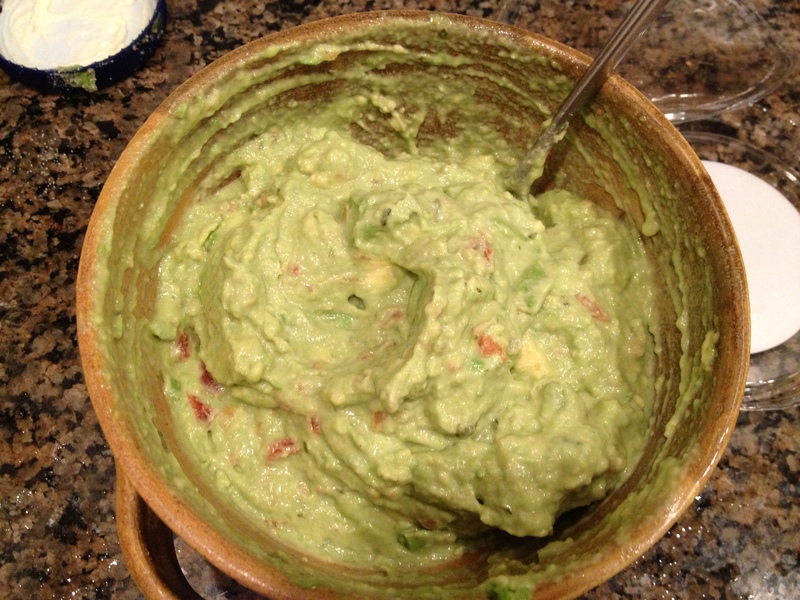 Step 2: Start to chop up the avocados in the bowl using a spoon, then add in the salsa (again, I eyeball but I’d say 1/2 cup range). And start mixing together until you get a nice creamy consistency!